Are you finding it hard to keep up with your New Year resolutions now it's February? Are you training for the Manchester Marathon and sick of pounding the streets alone? Maybe you just want to get your trainers on and get outside? Whatever your reasons for hitting the streets, there are social running groups you can join in Manchester almost every day, for absolutely free. Running with others gives you more motivation, helps you discover new places in your city and lets you be a sociable whilst getting your exercise in, all without spending a penny. And don't worry if you're not Paula Radcliffe or Mo Farah, these runs cater for all abilities and most have back markers so you will never be left out in the cold alone no matter how slow you go. So what are you waiting for Manchester? Kick off your week with Stills Waters, the Manchester based creative community and running crew who focus on interacting with the Manchester city landscape. They promise an alternative to the traditional runnning club and avoid the same old repetitive routes in favour of exploring the city streets. Runs tend to last 45 mins and are about 5-10K. Sweatshop believe that running should be free, fun and for everyone and offer incentives to keep you coming back including a free t-shirt after your first 5 weeks. If you make it to 50 weeks they reward you with a free pair of trainers - motivation indeed. 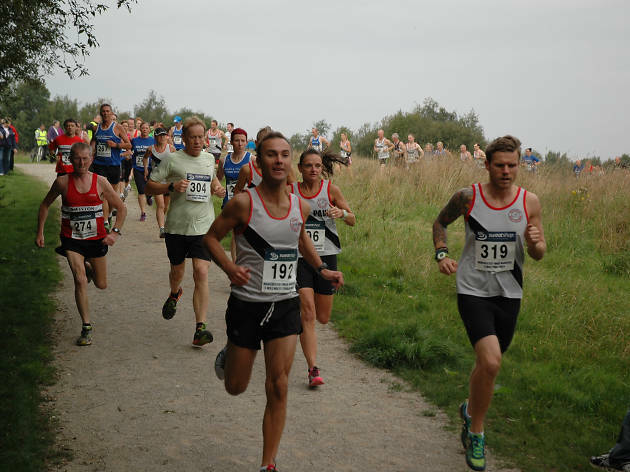 Choose from either a 5K or a 4-5 mile route which change weekly and by season. They often go for a drink or a bite to eat after the run too. 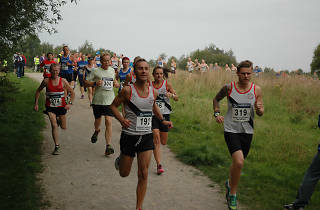 Manchester Road Runners are a social running group based in Castlefield. They offer a 5 or 8K route and the advantage of meeting next to the Wharf pub means a post-run pint is actively encouraged. Excellent rehydration tactics. Nike+ Run Club head out every Thursday night and like to vary their routes and distances. Sometimes they do alternative sessions rather than just running, like tackling hill sprints. They encourage their members to suggest new routes which can result in anything, like a run to take in both of Manchester's football stadiums. They love a group photo to record their achievements so make sure you take your best pose. It's Friday and you've been running around Manchester all week. Give yourself a day off. Parkrun offer free weekly timed 5K runs all over the world. In Manchester you can choose from Heaton Park, Platt Fields, Worsley Woods, Oldham and further afield Lyme Park, to name but a few. All you need to do is register online and take your barcode so that your time is recorded. They are all run by volunteers and promise a warm welcome. They often go for a post-run coffee nearby and the early weekend start means you have the rest of your day to revel in your achievement. Sweatshop Arndale and Nike+ Running stores both offer longer runs on a Sunday morning, starting at 9.15am or 9.45am respectively. The Sweatshop runners tend to go out for 10 miles whilst Nike offers a variety of runs. Check their Facebook page as before, for updates each week. Discover more things to do in Manchester with Time Out.